This beautiful, upscale 2000 sq/ft LAKE VIEW 3 bedroom / 2-bath condo is located at Vista Cay in close proximity to the clubhouse and pools. This 3rd floor, beautifully decorated unit is completely renovated including new bamboo wood floors, stainless steel appliances, and new furnishings. Enjoy this 2000 sq/ft 3 bedroom monte villa condo consisting of 2 bedrooms equipped with king beds and one bedroom with 2 full size beds. Additional amenities include a fully equipped kitchen, wireless internet service, and 42" flat screen televisions in every room, including the bedrooms! The building is equipped with two elevators and the unit is handicap accessible. The state-of-the-art Vista Cay clubhouse boasts resort style pools, children's play area and pool, two outdoor hot tub/spas, movie theatre, convenience store, game room, fitness center, flexible meeting space, and attraction shuttle. Give our condo a try, you won't be disappointed...and who knows, you may even catch a glimpse of Sea World fireworks from the balcony! The lake view is gorgeous and there is a 1.5 mile paved walking trail around the lake. Kids love the swimming pools and game room. Vista Cay is nestled between Universal Studios and Sea World and near many attractions on International Drive. It is located next to the Orange County Convention Center. Deposits: A deposit of 25% must be received in order to reserve unit. Other payment terms will be communicated in confirmation statement. Other Fees: A processing fee of 5.0% is added to each booking. I stayed here for 4 days in March. It’s a very large, comfortable and clean condo! Nice balcony with a comfy couch to relax on at any time. So many fun things to do that are close. I went for a swamp ride on a airboat, played mini golf at Disney, and many other things. I am definitely going to come back and bring more people! Also the condo had up to date appliances and everything else seem very new! The condo was absolutely beautiful and in such an excellent location. There were plenty of places to eat nearby and lots to do (we took advantage of Universal Studios and tried an escape room!). The pool on the condo grounds was wonderful as well - it even has a poolside bar! The beds were very comfortable and when we arrived the condo was clean and tidy - exactly like in the pictures online. Overall it was the perfect place to rent, and I’d definitely stay here again. Thank you!! Vista Cay Condo Two Years and Counting! 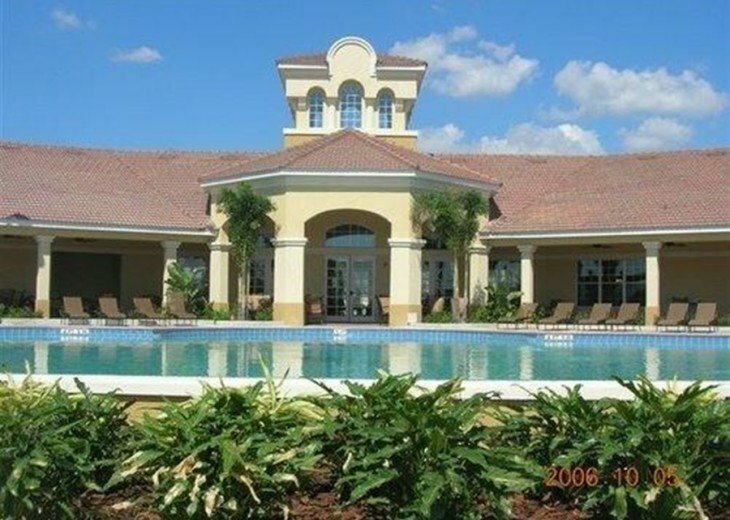 Second year in a row I have made a week long visit to this beautiful condo right near the theme parks in Orlando. Wonderful pool, and close proximity to lots of restaurants and dining. Always well kept and clean with plenty of room for a whole family or group of friends. Loved this visit as much as the last and plan on continuing my trips in years to come! This is our third year in a row that we have come to Vista Cay. This particular unit was the best of the best. Very relaxing and layout was top notch. We will return next year. Lisa, is very accommodating.